Search all Pacific Grove Bay View Real Estate including Bay View homes and condos for sale throughout Pacific Grove on one easy to use website. This page shows the latest Bay View Real Estate for sale in Pacific Grove, CA 93950. 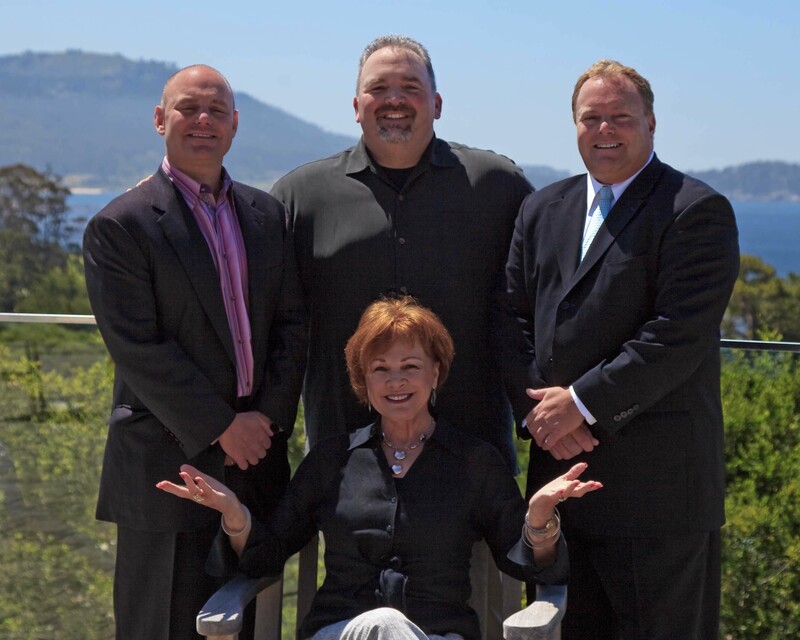 To skip all of the writing and get right to the Pacific Grove Bay View real estate, click the box! Whether it is a $500,000 Pacific Grove Bay View condo at Lover's Point in Pacific Grove, a $1,000,000 Pacific Grove Bay View Victorian Cottage, or $9,000,000 Pacific Grove luxury Bay View estate home on Point Pinos next to the Pacific Grove Lighthouse, this web page will have the newest selection of Bay View real estate in Pacific Grove for you to review. 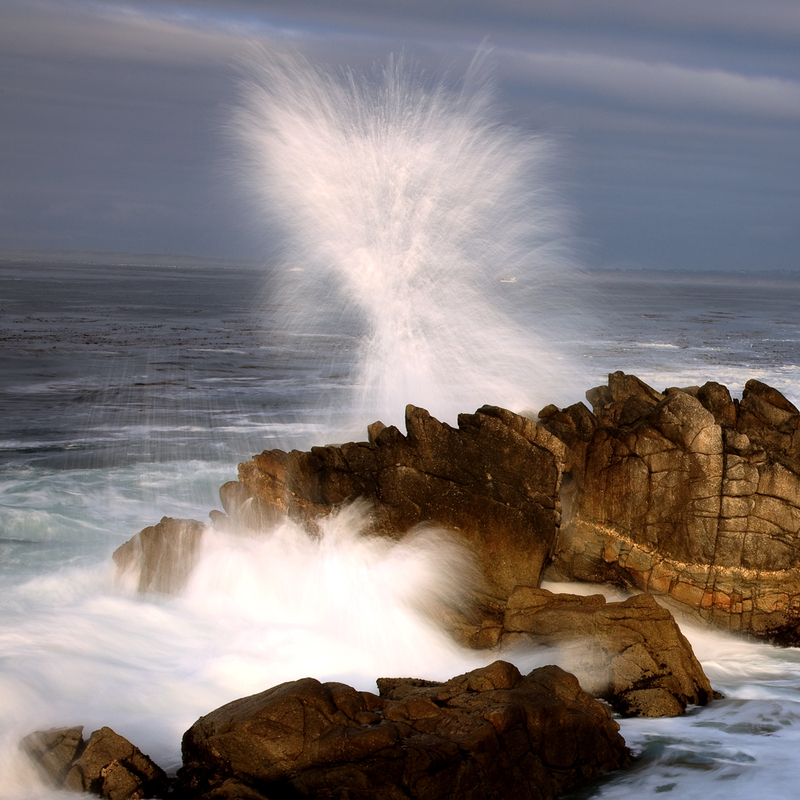 Located at the tip of the Monterey Peninsula, which is said to be the greatest meetings of land and sea anywhere in the world, Pacific Grove's Bay Views are no exception. Pacific Grove real estate has some of the most spectacular views of the Monterey Bay and the Pacific Ocean available on the Monterey Peninsula. So who wouldn't want to own real estate with a Bay View from their Pacific Grove home. The Bay Views from real estate Pacific Grove range from white sand beaches along the Pacific Grove shoreline to dramatic waves crashing into jagged Asilomar coastlines. You can own property with distant Bay Views of the Monterey Bay and twinkling coastal city lights at night or have real estate that is close up and personal with crashing white water views of the pounding Pacific Grove surf. 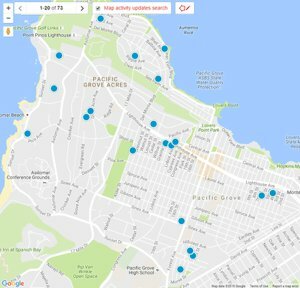 This is a great webpage to see if there is a piece of Pacific Grove Bay View real estate within your budget. If you are looking for Pacific Grove real estate for sale with incredible Bay Views, you can start your search below. 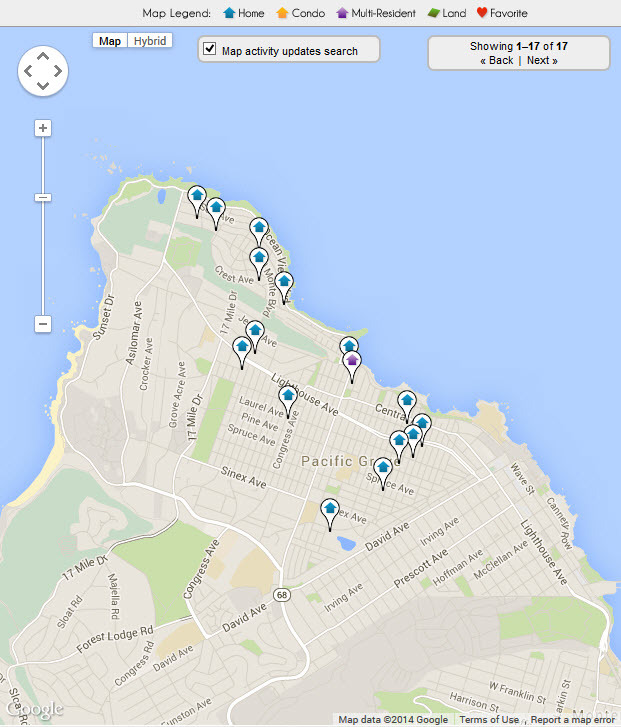 The latest listings of Bay View real estate in Pacific Grove are located on this page. For a full list of Bay View homes that are available in this sought after city, you can build an advanced search or contact us and we can do it for you.